In from NYC, for ONE.NIGHT.ONLY! 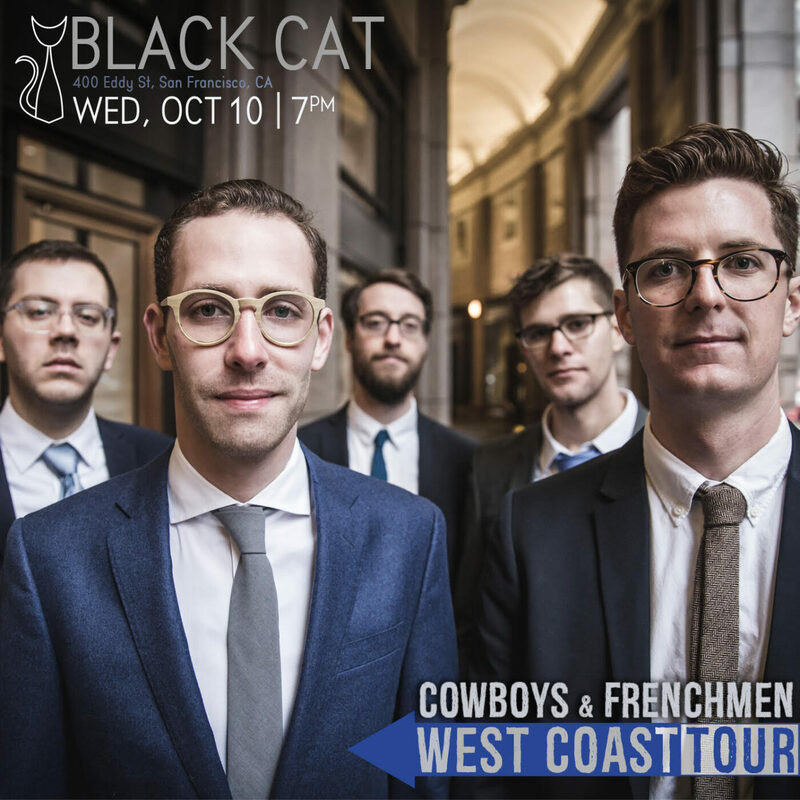 Cowboys & Frenchmen is a group that presents a new take on instrumentation, composition, and orchestration for the classic jazz quintet. “The band makes a glorious sound – more like a larger ensemble at times – providing intriguing, innovative and sublime music,” said Mike Gates of UK Vibe. The band says that having the front line of two alto saxophones is their vehicle for re-imagining the role of horns in a small group setting, charting new territory by exploring individuality within the same timbre. This band is HOT! Check out their latest album, “Bluer Than You Think” to hear it for yourself, and book tickets now to see this band in person, downstairs at Black Cat. By the way, the inspiration for their band name, Cowboys & Frenchmen, is a short film by Director David Lynch, called “The Cowboy and The Frenchmen.” Interestingly, the film is a Western – but with a unique, out-there interpretation of that classic genre. Similarly, this jazz quintet has one foot firmly planted in a genre, while the other one is busy trying to kick down another genre’s door. Do not miss out. Book now!